We covered how to seed a lawn in a previous post. 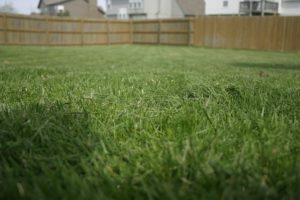 In this post we will review the steps on how to install a sod lawn. One of the big advantages of installing new sod is that you immediately have a green lawn. There are a number of steps required to ensure that your lawn stays healthy and looking green the whole season. You don’t want to spend all of that money on a new lawn, particularly a sod lawn and then have it turn brown because you didn’t install it properly or look after it after the sod was laid down. The following are the steps that one should follow to ensure a great looking lawn. 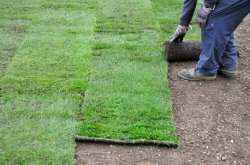 Choose high quality sod – if the sod already has brown spots or looks dried out, chances are it will not look very good or grow properly once installed. 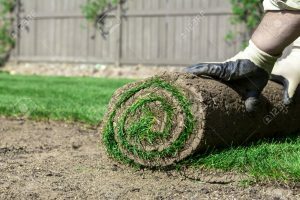 Prepare the soil – make sure there is at least 3 inches of high-quality topsoil that is evenly spread across the area where you’re going to install the sod. There should be no gullies or high points and you want to pack the soil lightly before laying the sod. Use a wide rake to level the ground and prepare it for the new sod. Spread fertilizer and moisten soil – spread fertilizer evenly across the ground, avoid concentrations of fertilizer to avoid burning the new sod. Dampen the soil before laying the sod to provide a nice moist environment for the roots of the new grass. Keep sod moist – once the side arrives at your home keep it moist and lay it as soon as possible. If it must sit in the hot sun for anytime, spray the sod with water. You want to keep the sod from drying out. Start with a straight edge – always start along the straight hedge of your yard. A concrete driveway makes an excellent straight edge, or the side of your house for example. Roll out the sod – One at a time taking care to maintain the straight edge that we mentioned earlier. Place edges tightly together – wherever one piece of sod touches another. This will ensure that there are no small holes or areas that lack grass. Cut pieces to fit – small areas and where you must fit in a small section of sod. e.g. along the fence, around shrubs, or trees. Roll to ensure contact – use a water filled rolling drum across your lawn. This will ensure that the sod is in contact with the moist soil underneath and to level out any rough edges. Water thoroughly – lack of water on the new sod during hot weather is most often the cause for sod to dry up and die. For the first two weeks make sure that your new sod has lots of water so that the roots can establish themselves in the topsail underneath the sod. Bare patches in your lawn can occur for a number of reasons. Weak grass can die off during a dry spell. 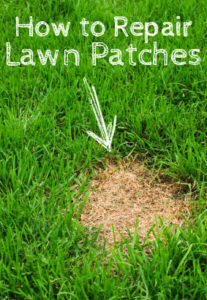 Disease and insects such as grubs etc can also cause patches of dead grass. Clearing weeds can leave more bare spaces! We will cover how to repair bare patches in lawn, but first there are some issues to consider. The best time to do repairs to your lawn is in the spring before it gets dry and hot. Early fall is also good when there is usually more rain and temperatures are lower. Leave enough time for the grass establish itself before going dormant in cold weather. Begin by removing the dead thatch. Remove all weeds and any weaker grass around the spot you are working on. Add good top soil to ensure the lawn will be level. Tamp the soul lightly. Add lawn seed or sod. If you are applying lawn seed, spread it evenly and then lightly rake the soil to cover the seeds. Be careful to avoid leaving spots with no seeds. Finally water the area gently. You should keep the soil moist until germination of the seedlings. Continue watering daily for several weeks until the new grass is well established. Residential consumers are always concerned about weeds invading their lawns and killing the grass. Removing noxious weeds or weeds that the consumer considers noxious is not the same as official lists from the government. A noxious weed list typically includes weeds that most home owners will never encounter. For example most people will never have thistles in their lawn. For farmers, thistles are a huge problem. 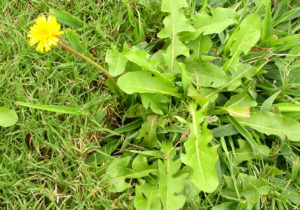 Most consumers have to deal with dandelions in their lawns, which actually is not on the official obnoxious weed list! This post will focus more on the average urban consumer and what you can do to remove more common weeds such as dandelions, crab grass and other types of weeds. One of the most important things is to never allow the weeds to take over your lawn. If you maintain a healthy thick lawn, the weeds will have a tough time getting established. Never the less there will always be some that seem to make a toe hold in your lawn. When you see these weeds, remove them immediately so they do not become a problem. There are several ways to remove noxious weeds from your lawn and gardens. The simplest and least time consuming method is to pull the weeds removing the entire root when you do. It may take an hour or so once a week but it is definitely worth it. Removing weeds on a regular schedule will allow you to keep ahead of them. It is also environmentally friendly. If the weeds have over taken your lawn, you may need to spray the lawn with a weed killer of some kind. Note that many municipalities have outlawed many weed killers due to their impact on the environment. Choose the weed killer with care and apply following the instructions provided. Once they die off apply lawn seed and top soil,water until the new seedlings are healthy. If you decide you want to seed your lawn instead of using sod, you will need to follow different steps. We will outline how to seed a lawn using lawn seed, a rake, a roller and medium to light mulch. It is important to keep the new lawn seed watered to help germination and continue growth. Once you have established the right kind of topsoil for your lawn the first step is to rake the soil to establish a level lawn. There are a couple of important points to remember in the step. The top soil should be level to avoid puddling during watering or rain fall. There should not be any dips or high areas to avoid the lawn mower scalping the lawn when your are mowing. Once you are confident that the top soil is level and there is good soil everywhere, it is time to move to the next step. Sow the seed using a fertilizer spreader following the same steps for fertilizer. Avoid high concentrations and gaps in the lawn seed. Always cover the area twice with the direction of spread at 90 degrees to the first application. Next you need to lightly rake in the soil and lawn seed. Avoid changing the concentrations and only cover the seeds by one eight to one quarter of an inch. Next roll the soil to compress the soil around the seeds and causes germination to proceed quickly. You may want to add light mulch to help retain moisture in the soil and help the lawn seed get established. Avoid heavy mulch which could smother the grass seedlings. Water thoroughly and regularly to help with germination and to help with lawn growth until it is well established. High light the area to with ribbons or bright string to keep neighbors and children from accidentally walking across your lawn. Centipedegrass is another warm season grass with the scientific name Eremochioa ophiuroides. It is a good low maintenance general purpose lawn that adapts well in poor soil conditions. It can also be aggressive enough to crowd out weeds and needs less mowing than most grasses. One big advantage is that this grass is resistant to chinch bugs which can decimate other grass types. 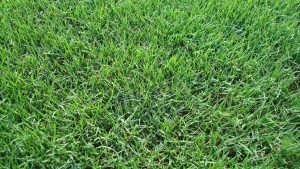 This grass type can be a great low maintenance type of grass for lawns in the southern United States. It does not wear well and will only recover slowly from damage from too much foot traffic for example. The Centipedegrass is coarse textured. It has a light green texture. It can turn yellow from chlorosis and is also sensitive to low temperatures. Adding too much nitrogen will cause a build up of thatch. It is also fairly tolerant to shade. Fertilizer should be in the range of .1 to .3 pounds of nitrogen per 1000 square feet per year. Usually the stated amount is per month. Note that this is the amount you should add per year for this grass type. With a shallow root system, it can be sensitive to drought or dry conditions. Water often to avoid problems. 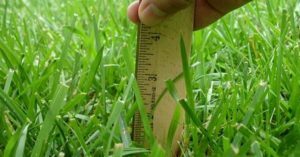 mowing height is from one to two inches. Improved Bermudagrass is a warm season grass with the scientific name of Cynodon species. Improved bermudagrass has most of the same characteristics of common bermudagrass. However generally it is softer with a finer texture and more dense than it’s counterpart. It also needs more water, should be mowed more often and requires more fertilizer to keep it looking great compared to common bermudagrass. Since it is thicker and more dense, thatch control may also be required from time to time. It is not tolerant to shade and needs lots of water in dry conditions, compared to it’s sister grass. Fertilizer from .7 to 1.0 pound per 1000 square feet per month should be added to have a healthy looking lawn. This grass type has an excellent wearability compared to other grasses we have reviewed. Mowing height is between 1/2 inch and 1 inch. It is well adapted in the south and southwest, the east coast and the eastern mid west. 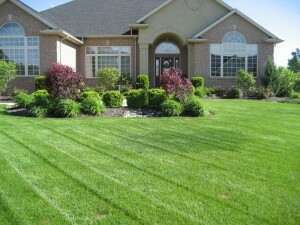 Most consumers want to have a great looking lawn that is the envy of their neighbors. It is actually not that difficult or that expensive if you follow a few lawn care tips and are consistent about looking after your lawn. We put together a list of lawn care tips year round that will help to ensure that your lawn not only looks great in the summer time, but all year long. It may take a few months for your lawn to respond, but it will be well worth it and you will have a lawn to be proud of. The following are our list of lawn care tips. If you have some to add, please leave us a comment and we will be happy to add them to our list. Water Deeply – When you do water your lawn, water deeply delivering at least one inch of water to the lawn. You can measure the water, by leaving a small pot or can where you are watering. When there is an inch of water in the pot, it is time to stop. You can also use this same pot to monitor how much water your lawn is getting when it rains. Water in the Early Morning Only – to avoid mildew, mold and fungus that can damage your lawn from overnight watering. 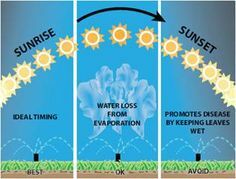 Watering during the hottest period of the day will mean that you lose a lot of moisture to evaporation which is really just a waste. Mow at a Higher Setting – to provide more protection for the roots, reduce evaporation and reduce the ability of weeds to get started. It will not eliminate the weeds, but there will be a lot less of them. Keep your Mower Blade Razor Sharp – A sharp blade cuts the lawn rather than tearing the blades of grass. It is healthier for the grass and it also looks better as well. As soon as you suspect damage from insects, act on immediately to avoid losing your lawn. Chinch bugs and grubs are a common problem that can ruin a great looking lawn within a week. Grubs also attract animals that will dig up your lawn causing even more damage. Watch for Signs of Summer Lawn Disease – Same applies, act quickly. Take a sample to your local garden specialist to see what the disease is or look it up online and apply the correct solution. Remove Weeds – A thick lawn makes it hard for weeds to get started, however there will always be some. If there is just a few, 5 minutes once a week of hand picking will keep your lawn free of weeds. You may also revert to chemicals if needed, however follow the precautions stated on the package when using pesticides of any kind. Remove Debris – Never leave debris on the lawn since it will suffocate the lawn and possible kill it. Leaves are notoriously bad for a lawn so you will want to make sure they are all removed before the winter sets in. Looking after your lawn and having a healthy great looking lawn can be so easy if you follow the following fall lawn care steps. This post is focused on the fall lawn care to enable a great looking lawn for the following year and is considered an important part of the annual lawn care that every consumer should follow. Step 1 – remove all debris from the lawn including leaves, twigs and weeds to reduce the mold that forms from rotting leaves. this step also allow the lawn to breathe and grow in the spring. Step 2 – during the fall you can cut your lawn a bit lower than normal since the cooler temperatures will not hurt your lawn and also reduces the amount of evaporation. The reason you want shorter grass for the fall and winter is to avoid providing a home for small rodents that may live in your yard. Step 3 – In late September or early October, apply fertilizer that promotes root growth so that the roots of your grass extend deeply into the soil. This will help your grass survive over winter and give it a strong start in the spring. These are three easy steps to preparing your lawn for the winter which just about any consumer can follow. It is not expensive and by raking leaves etc you also get some exercise. One of the best ways to ensure a great looking lawn year after year is to properly prepare your lawn in the fall. If your lawn gets through the winter in good condition, then it will look great all year round. What do you need to do to prepare your lawn for the fall. 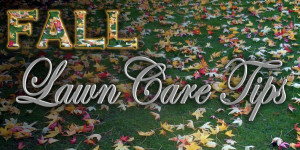 Here are several tips for fall lawn care. They will help to ensure a great looking lawn and also not break the bank. We are assuming that you the consumer will put in the effort to maintain your lawn to also help save money. Add fertilizer to your lawn in late September or early October to promote root growth. Strong healthy roots that go deeply into the soil will make for healthier plants. This gives the grass a strong start in the spring. Your local hardware store can recommend the right fertilizer for this purpose. Next make sure that all of the debris is removed from the lawn. Leaves, sticks, branches and weeds should be removed so that the grass has a chance to breathe and also avoid providing shelter for small rodents. By removing the leaves you also reduce the amount of mold that can form on the leaves and potentially damage the grass. Now that it is cooler you can cut the grass a bit shorter. During the hot summer months you should have allowed the grass to grow a bit longer to reduce water evaporation from the soil and protect the roots from the hot sun. In the fall you can safely cut the grass a bot shorter which avoids leaving shelter for rodents such as mice and moles. They can create a lot of damage if given a chance. 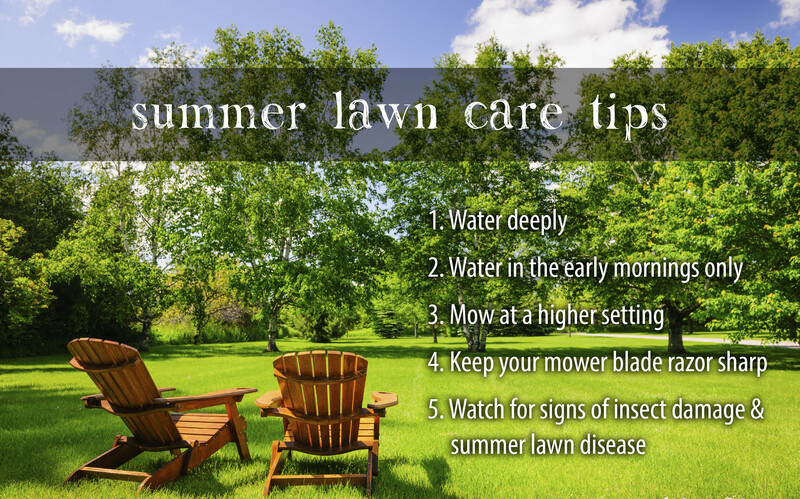 That’s pretty much it in terms of tips for lawn care. It is pretty simple and yet you will have a really great looking lawn. This looks like a lot of work! 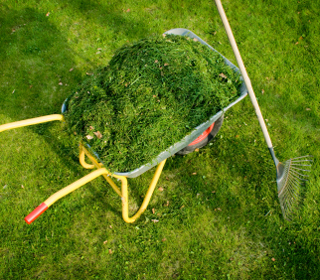 Mulch your grass clippings and help your lawn at the same time. Adding the nutrients from the clippings back into your lawn helps your grass. Save yourself some time and hard work raking up the clippings. Sure you may need to cut your lawn a little more often. But compared to raking the lawn after it has been cut is child’s play. Leaving the mulched clippings adds 30% of the nutrients your lawn needs back to it. If the clippings have been mulched, i.e. 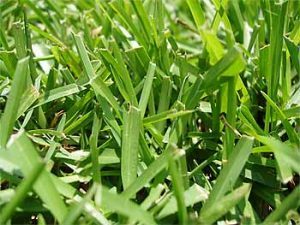 the clippings are very short usually less than half an inch, they will decompose more quickly and help your lawn remain healthy. The clippings will also help prevent moisture loss during dry periods. The simple trick is to cut your lawn with a mulching lawn mower whenever your grass has grown an inch. Letting it grow longer will make it more difficult for the lawn mower to do its job. You may have clumps of cut grass on your lawn which you should really rake up! An inch of grass is easy for the lawn mower to handle. It leaves your lawn looking fresh with no visible grass clipping showing. Yes it is more work to cut the grass often, but compared to raking grass cuttings, the writer would rather cut the grass more often especially with a self propelled lawn mower. Short clippings decompose quickly and do not build up as thatch in your lawn. Long grass clippings have a tendency to build up thatch which may clog your grass while preserving moisture in the soil. 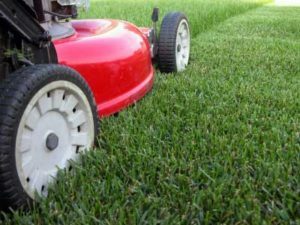 It is a bit of a trade off, but in general a mulching lawn mower will cut the grass short enough to provide nutrients, provide moisture retention and decompose quickly. We talked a little bit about this golf course in our last post. They practice a form of environment lawn care on their course. We are not going to get into the issues of their being a golf course in the middle of what is obviously a desert. However if your going to have one built, you may as well as do it in an environmentally friendly way. In their case they use non potable water which means that it is untreated and not suitable for humans to drink. It is more than suitable for a lawn and this is what they do to partially save money and to also reuse water that cannot be used for human consumption or used on gardens with fruits and vegetables. But what can the regular consumer do with regards to environment lawn care ? There is also an issue with how much water is used on golf courses, especially in the desert, but that is a subject for another post. Mulch all leaves and lawn debris and use as fertilizer and ground cover. There are probably other steps that can be taken for Environmental Lawn Care and we wold appreciate any suggestions that you may have. Our readers will appreciate your ideas so that we can all help to minimize our impact on the environment. Leave us a constructive comment and we will happily approve it.